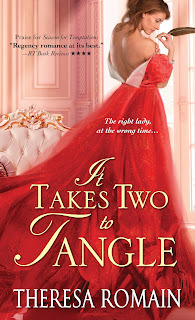 TBQ'S Book Palace: [Review + Excerpt]: "It Takes Two to Tangle"
[Review + Excerpt]: "It Takes Two to Tangle"
This excerpt stop is part of the IT TAKES TWO TO TANGLE Twitter party celebration and does not have its own giveaway. 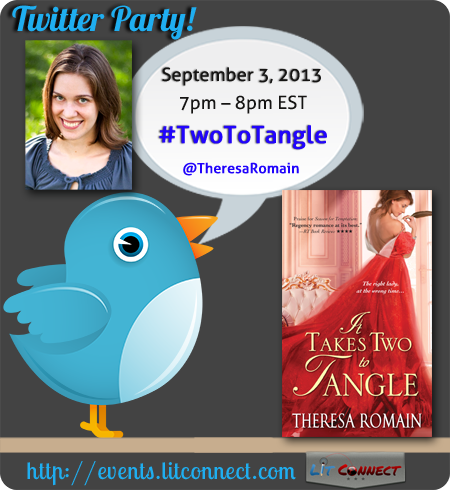 You can find the pre-registration event with full giveaway information at http://events.litconnect.com/twitter-party-it-takes-two-to-tangle-by-theresa-romain-historical-regency-romance/ Please note: This giveaway ends on 9/3 at 6pm EST. 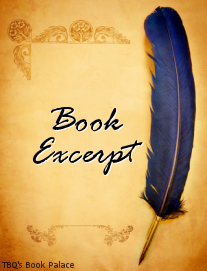 Only a very special book can make you fall in love with a genre again. 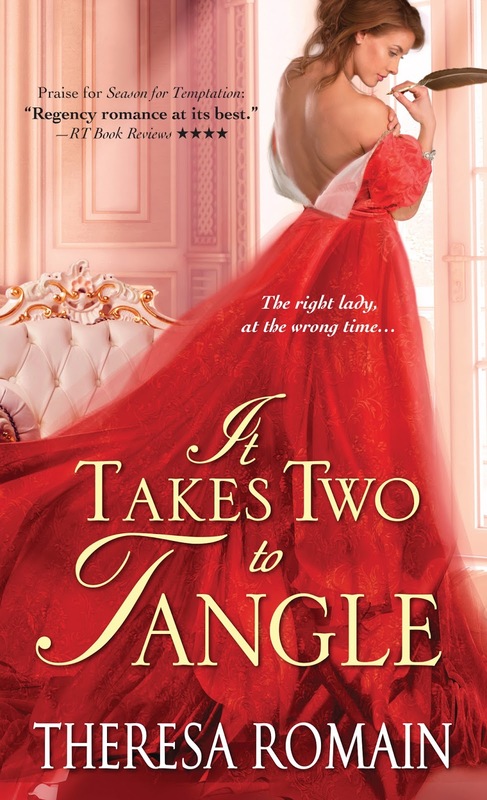 It Takes Two to Tangle did just that, rekindling my love of historical romance. Theresa Romain has a talent, a rare ability to blend beautiful writing, great characters, delicious banter and a lovely romance, all in one perfect package. ITTtT is simply beautiful, inside and out; the cover sweeps you away to Regency England as does the story contained inside. Within a few chapters, I knew it was to be a favorite of mine, and I look forward to enjoying Romain's books again in the future. I loved how the sparks flew between Henry and Frances. There were more than a few such passages that I marked, though I won't be sharing them today, as they were fairly long--sorry! You shall just have to trust me--if you love wit and banter in your romance (and who doesn't?) then you will love this book! He twisted his living left hand beneath her right--she thought at first to free it from her grasp. But he simply rotated it, placing his hand palm to palm with hers. Fingers wrapped around fingers, their sensitive pads awakening each other with pressure as light as the feather on a quill. The contact was simple, everyday, yet almost unbearably intimate. And it was too uncertain; it could mean everything or nothing. A naked hand to a naked hand was a pact between business partners, a promise between friends, a beginning for lovers. Truly, her writing is gorgeous and it made me feel as if I were there with Frances and Henry. Well done, Ms. Romain, and thank you for this delightful story! I received an ARC of this book from the author in exchange for my honest opinion. 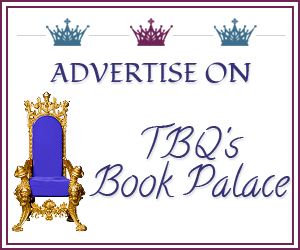 *Note: The quote used belongs to Theresa Romain; TBQ's Book Palace does not claim it. I'm happy to be part of today's tour--please enjoy this excerpt! Caroline had shoved herself upright on the sofa. Under her crown of golden hair, her ocean-green eyes were huge and bright, and her mouth sagged. I've said it already in my review, but I will say it again--this was a beautiful romance, and I very much enjoyed reading it! 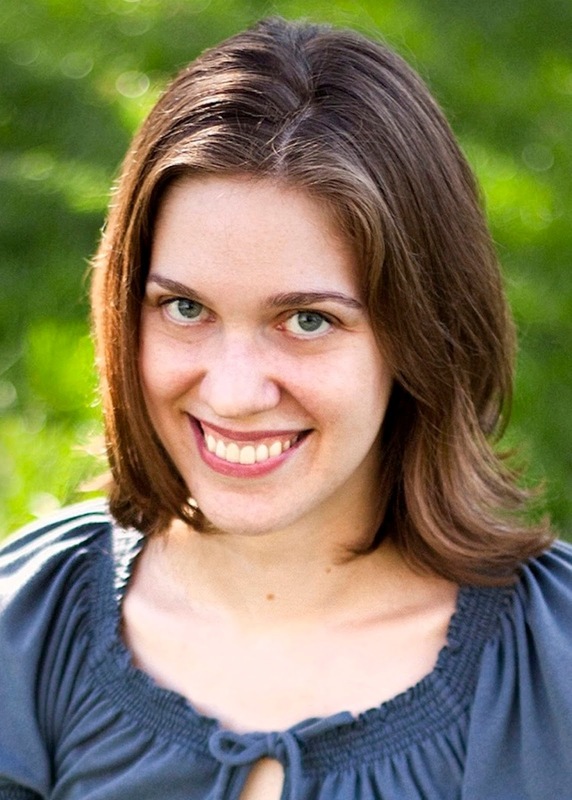 Have you read any of Theresa Romain's books? Do you have a favorite? How about a favorite historical romance, one that either started your love for the genre or, as this one did with me, rekindled that love? Thank you so much for hosting me today! What a lovely review. I'm so glad you liked ITTTT. Ah, thanks, Theresa! 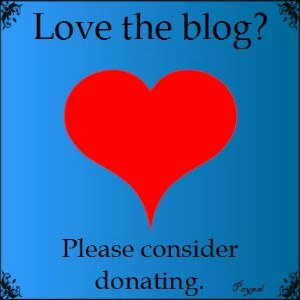 Please know that you are always welcome back to the blog! That cover is amazing! The red of that dress, not to mention how beautiful it is jumps out at you!! I love "banter" so of course I have to put this book on my list! Thanks TBQ...great review!